A man who gave his girlfriend drugs at a festival and filmed her as she died has been jailed for her manslaughter. 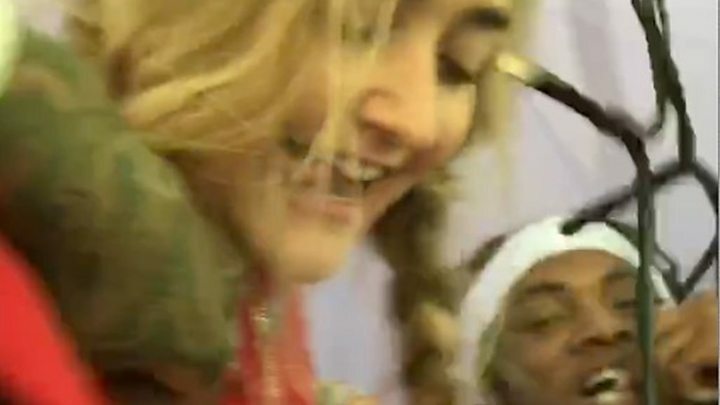 Louella Fletcher-Michie, the daughter of Holby City actor John Michie, was found dead in woodland near the Bestival site in Dorset after taking the drug 2CP. Ceon Broughton was found guilty of manslaughter and supplying the Class A drug by unanimous verdict on Thursday. 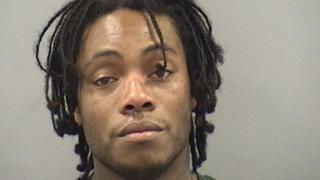 He has been sentenced to eight-and-a-half years in prison. Image caption Ms Fletcher-Michie's mother, Carol, said losing Louella was "like losing a limb"
Mr Michie said in a victim impact statement: "I wake up every morning to face life starting again without Louella, our daughter, our sister, our friend, our family now broken. "And for what? It makes no sense - our beautiful Louella should still be with us on any measure of humanity. "No more yoga with my daughter, no more running around the outside of the Arsenal stadium with my daughter. "Her life cruelly cut short. Our lives forever diminished. She was wise beyond her years and trusting, too trusting it seems." Mother Carol Fletcher said: "On the outside we all look much the same as we did before, but inside our hearts and souls have been ripped out, trampled on and stuffed back in. "Like losing a limb, waking up every day to face this new reality, having to learn to live with this for the rest of our lives. "There are no winners. We don't think Ceon is evil. He was stupid, massively selfish and he lied. My hope is that he has learned that truth is all we have ever really got." Sister Daisy Fletch-Michie said: "Every single day I try to understand why Ceon didn't help Louella, the hours that passed with her getting progressively worse, even having spoken to him on the phone myself, and begging him to get her to a medical tent. Why didn't he?" In sentencing Broughton, Judge Justice Goose said: "I have come to the clear conclusion you were only concerned for yourself. "You had created an obviously dangerous situation, you were not concerned until it was too late. "Whilst you were doing little to help Louella you were sending messages to a friend asking him to say that Louella had obtained the drugs from an unknown person. You were more concerned to create a defence." Broughton, 30, of Island Centre Way, Enfield, London, did little to help his yoga teacher girlfriend for six hours as he feared breaching a suspended jail term, his trial at Winchester Crown Court heard. The jury was told the couple liked to film each other when they were taking drugs. Broughton - a rapper known as CeonRPG who has worked with artists including Skepta - filmed Ms Fletcher-Michie, 24, as she became "disturbed, agitated, and then seriously ill". He also branded her a "drama queen" as she lay dying on 11 September 2017. Jurors heard Broughton failed to act because he had been handed a 24-week prison sentence, suspended for one year, a month before. He had already pleaded guilty to supplying 2CP to Ms Fletcher-Michie and her friend at Glastonbury Festival in 2017. The trial heard the pair had gone into woodland to take drugs on the eve of Ms Fletcher-Michie's 25th birthday but Broughton had "bumped up" his girlfriend's dose. She was found dead by a security steward 400m from the festival's hospital tent. The jury was told he had contacted friends and Ms Fletcher-Michie's family, sending them maps showing his location. At court on 21 February, Broughton broke a table and damaged a water cooler during an angry exchange with Ms Fletcher-Michie's father. Mr Michie had shouted "evil, evil" and "not even sorry" as his family walked towards an exit. Stephen Kamlish QC read a statement to the court from his client, Broughton, saying: "Sorry I didn't do more to save Louella, sorry for the suffering I caused to everyone who loved Louella, I want to make things right." Image caption Following Broughton's conviction, John Michie said: "Ceon's life sentence is knowing that he didn't help Louella to live"
Senior investigating officer Neil Devoto, of Dorset Police, described Ms Fletcher-Michie's death as "tragic and needless". Of Broughton's actions on the night she died, he said: "All he needed to do was walk a few hundred metres to the on-site hospital and medical staff, and call for emergency help or dial 999 on his mobile. "He supplied Louella with the drug and had a duty of care. His actions were selfish and shameful."